Jacquelyn L. “Jackie” Haddad, nee Rashid, age 76, of Elmhurst. Past President Elmhurst Women’s Club, Founder and Past President of ECAF, member Elmhurst Senior Commission, recipient of Junior Chamber of Commerce Distinguished Service Award, Past President York Township Republican Women’s Organization, member First Ladies of Elmhurst; devoted champion of St. Jude Children’s Research Hospital. 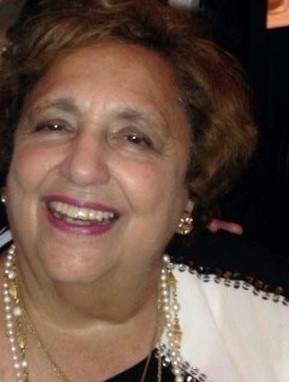 Beloved wife of Emil; loving mother of Michael (Michele) and Douglas (Kira) Haddad and Jacquelyn Haddad-Tamer; proud grandmother of Elise, Matthew and Andrew, Georgette and Joseph Haddad and Elias and Gabriella Tamer; dear sister of William (Kathleen) Rashid; fond aunt, cousin and friend of many. In lieu of flowers, memorial contributions may be made to St. Jude Children’s Research Hospital via this link.